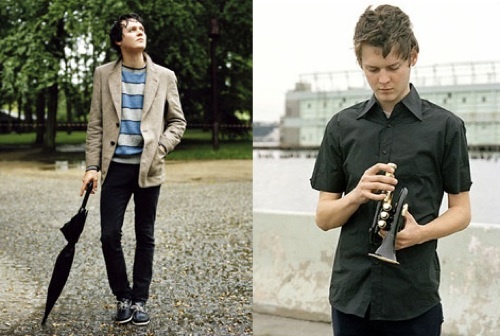 In terms of radio sessions I can’t think of a more fitting city for Beirut’s Zach Condon to demonstrate his trans-Euro flair. The covers cut for the session are especially of note as they translate seamlessly into the Beirut world of sound. Per usual for this series, Radio France deliver the goods. + Download Beirut via eMusic’s 25 Free MP3 trial offer. Any particular highlights from this performance that I might want to download first? the elephant gun performance might get your feet wet. thanks for this! the recording’s great, and beirut sounds charming as always. any way to d/l the whole thing in one clean sweep? thanks for this stuff, i’m french and it’s funny i’m downloading it on US site !! By the way Anon, there are third party soft permitting you to make a right clic and download all the object of the page !!! Hi. IÂ´m Victor and im from Portugal. When I heard that beirut canceled ther tour and the two concerts that they had in my country wereÂ´t going to happen i was devastated. Do you know if there is already a date for the return of this amazing musician?